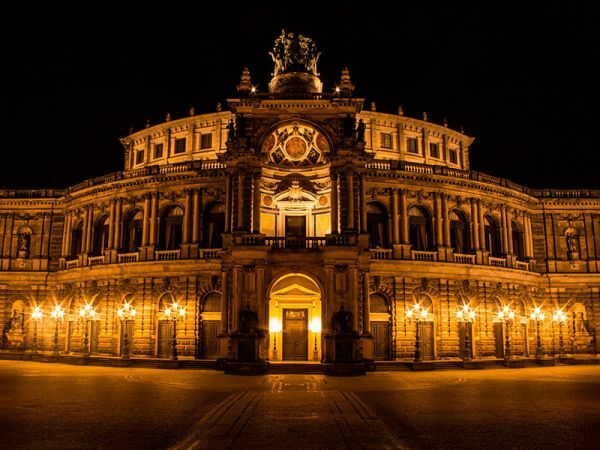 Enjoy visiting Dresden by a walking or coach tour of Dresden with its historical places, magnificent buildings, green oasisses as well as som exciting stories. No matter if you are a first time visitor looking for the highlights or if you should have a couple of days to go exploring the region around Dresden - a guided tour is simply the best way to experience Dresden and surroundings. This tour includes a walking tour of Dresden's Old Town with the world-famous Zwinger, the Theaterplatz square with Semper Opera House and Catholic Cathedral, the Royal Residence, the Princess Procession, New Market Square with the Frauenkirche church (visiting of the buildings from outside, there are no fees or entrances included). 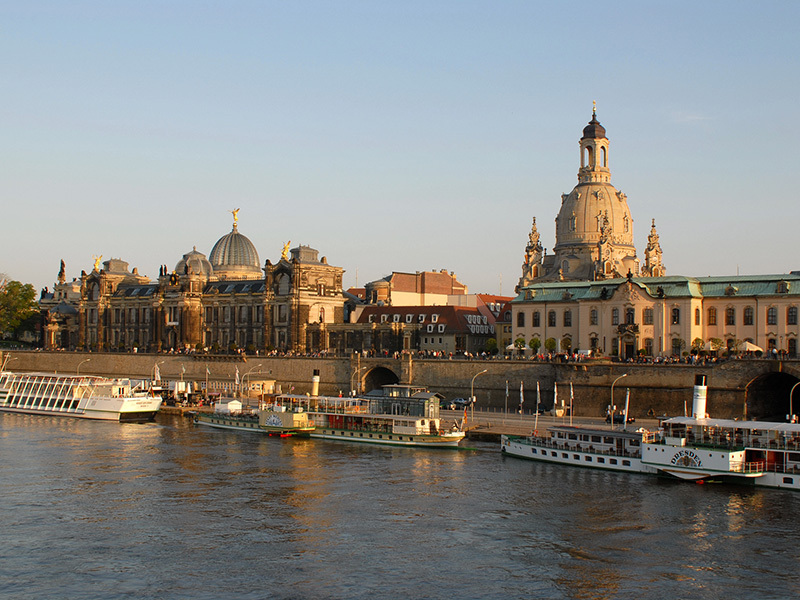 During this sightseeing tour by coach you will have the opportunity to admire such attractions like the exotic Yenidze, the Königstrasse in the baroque quarter Inner New Town/Innere Neustadt, an impressive panoramic view from one of the Elbe bridges to the Old Town with the domes of Frauenkirche church and academy of fine arts, to Brühl's Terrace), the German Museum of Hygiene, the Great garden park, the VW manufactory, one off the districts with beautiful villas, a view to the palaces at the Elbe slopes and to the Waldschlößchenbrücke bridge. optional: Blue wonder bridge with Old Loschwitz or Pfund's dairy. Information: All of my tours don't include any fees or entrances for museums, castles, parks etc. A comfortable way to explore not only the historic city centre, also possible to combine it with a walking tour. 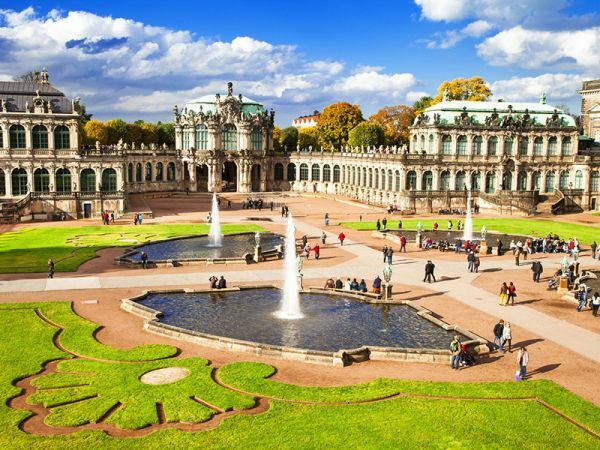 This tour includes: Zwingerand Theaterplatz with Cathedral and Residence, Yenidze, baroque quarter of the new Town, the new synagoge, german museum of Hygiene, Great garden park and VW manufactory, one of the villa's districts, the palaces at the Elbe slopes. Includes baroque quarter with Hauptstrasse and the Golden Horseman, a walk over the oldest bridge of Dresden, the Augustusbrücke bridge, an old town tour with the Dresdner Zwinger, Theaterplatz, Semper Opera House, Royal residence, princess procession and New Market Square (buildings from outside). outside). With the Golden horseman, Japanese palace, glamorous baroque Royal street, the Hauptstrasse street and Dreikönigskirche After crossing of the Albertplatz square a walk to the district of bars and pub, the Gründerzeit (a period at the end of the 19. century, when in Germany a big number of industrial firms was established) quarter, to the with unusual ideas decorated passage of arts and crafts to the most beautiful dairy of the world: Pfunds Molkerei. Enjoy the beautiful handmade tiles in the style of secession or a glass of fresh buttermilk.... At the end you find some opportunities to get some souvenirs and gifts for the beloved at home. Bizarr rock formations, deep and wild gorges, breathtaking views - all that you can find very closely to Saxony's capitol Dresden. 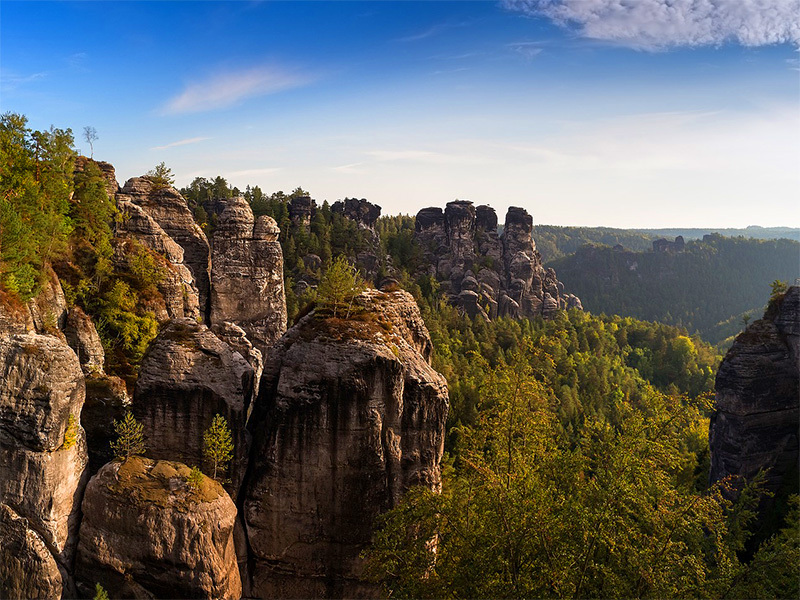 A Switzerland in Saxony - called Saxon Switzerland - it means the German part of the Elbe Sandstone Mountains. Friends of walking and climbing will find here their little paradise, but also families, short-time travellers and sightseeing tourists will find some pleasant and spectacular places to visit. A must have: the Bastei rock and the Königstein fortress! This tour will introduce you to this great landscape. It includes a visit of the famous viewpoint of the Bastei , a short walk to the mostly shooted subject in this area: the Basteibr ücke, and - if the time and other conditions allow: a walk along some witnesses of a medieval rock-castle! The tour leads you through some parts of the National Park across the river Elbe to the fortress of K önigstein. one of Germany's largest fortresses situated on a mountain. 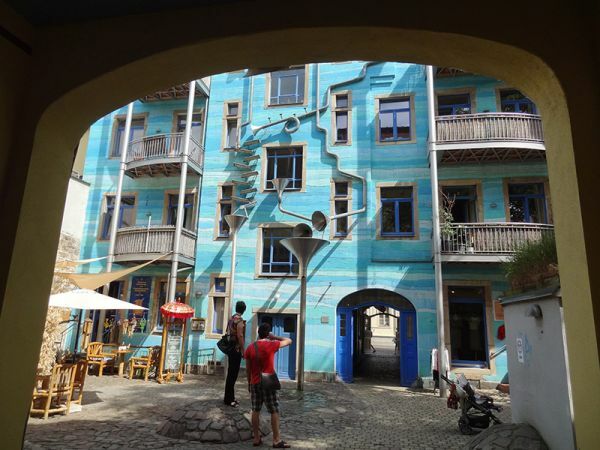 During a guided walking tour you have the opportunity of learning more about the history of this stronghold as a Bohemian palatinate, monastery, fortress, prison, place of pleasure, prisoner of war camp - and museum. Meißen - also called the cradle of Saxony - is not far from Dresden and is suited to a half or full day trip from Dresden. 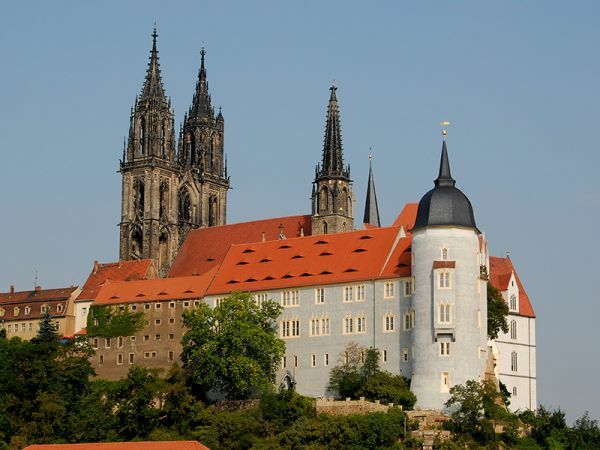 Explore the old town of Meissen, its narrow lanes with cobblestones, lovingly reconstructed old houses with some richly decorated portals, art- and craft-shops, the castle rock with Albrechtsburg palace and the cathedral. This is one of only a few cathedrals in Germany of pure late gothic style. A must is of course a visit of the Meissen Porcelain Manufactory with the demonstration workshops and the showroom, with the most comprehensive collection of Meissen porcelain from the beginning till today. Round off your Meissen trip with a taste of a glass of Meissen wine in one o the pubs or taverns having a real local flavour. 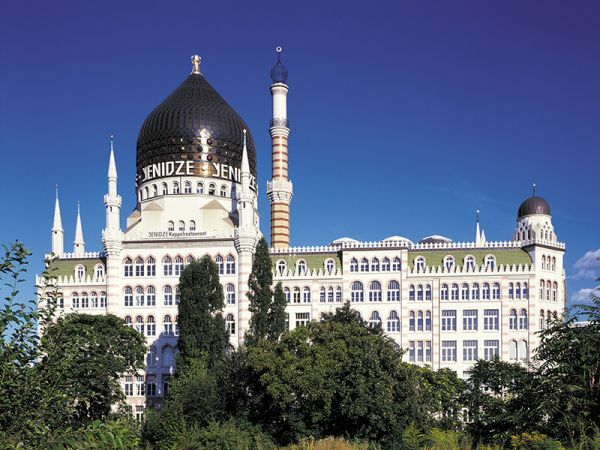 A trip to Meissen is - in accordance with your needs and wishes - possible to combine with a tour to Moritzburg or Radebeul. The baroque Moritzburg hunting lodge is located in the midst of a former preserve of the Saxon prince-elektors, surrounded by forests and a landscape of ponds. Visit the museum of the Moritzburg palace with the extravagant feather room, several halls with carefully reconstructed leather tapestries, historic furnishes, a large porcelain collection and a big lot of extraordinary antlers and trophies. A stroll through the baroque gardens, a walk to the Little Pheasant Castle or a visit of the museum of the German painter and sculptor Käthe Kollwitz can complete your stay in Moritzburg, depending on your possibilities.